Overall, I feel pretty confident in assuming that when people purchase books today, they view them mainly as vehicles for content. Certainly that’s true of any work purchased (read: licensed) in digital format—you’re not buying it for its physical form, since it doesn’t have one, but rather for the information contained within it. However, considering the relatively low-quality materials used in and poor construction of the vast majority of books published today (which are almost always either cased-in or so-called perfect bindings; I’ll go into these terms in a future post), it’s apparent that by and large, today’s mass-produced books aren’t purchased for their physical form, either. In a way, it’s a curse of the modern age. Mass production has meant widespread availability of information, but it also necessitates the cutting of corners (no pun intended) in order to create an affordable product. In the early days of printing, pages were printed and then left to sit unbound, gathering dust until they were purchased. Presses would sometimes bind a small percentage of their printed books, but for the most part the pages were sold unbound to customers, who would then take them to a binder. The binder would then bind the loose pages according to the customer’s specifications. Go to the rare book department of any library or used bookstore, and you’ll see countless utterly gorgeous bindings. Today, our shelves are filled with colorful but mismatched books of all shapes and sizes, but in the past, many readers had their books bound (often at great expense) similarly, if not identically, to one another. (There are some modern incarnations of this: see this New York Times piece and the accompanying slideshow. Note, however, that in that piece, aesthetics take complete precedence over content; it’s the opposite end of the spectrum.) An individual’s library was a statement not only of intellectual prowess, but also of aesthetic taste—and it’s from the ashes of these lost libraries that today’s rare book departments arose. As a fledgling bookbinder, I can’t help but be impressed by these old works of art. Even today’s fancy, commemorative bindings are mass produced; they lack the inherent uniqueness of hand-pressed and hand-bound books. Of course, I don’t think that we’re ever going to truly go back to the days of purchasing loose pages, and maybe that’s a good thing—surely the benefits of easy access to information outweigh the aesthetic loss. But there are still fine presses out there, and there are also people who take the form of a book and turn it into something else entirely. I’d like to pay homage to these artists today. 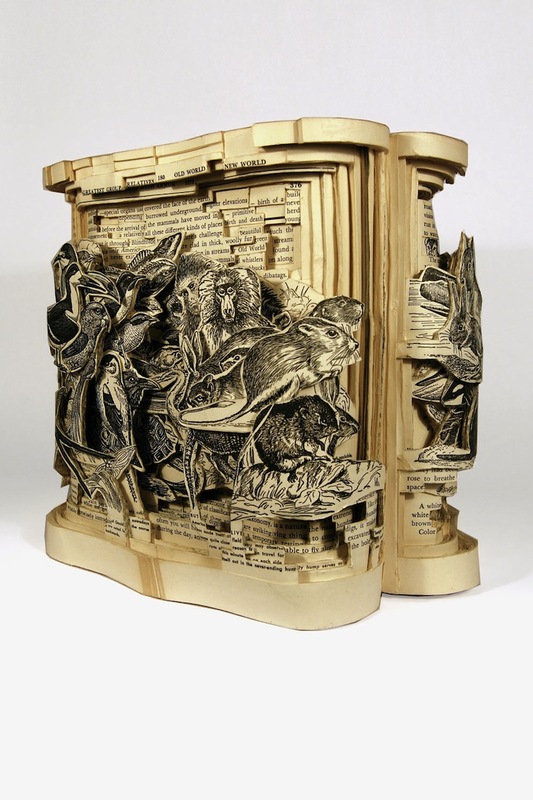 Brian Dettmer transforms books using knives, tweezers, and surgical tools. Vincent van Gogh book portrait, on a poster for Dutch Book Week, by Souverein. Lalanga Lou’akau, by Otile Manakofua and Uinise To’a. 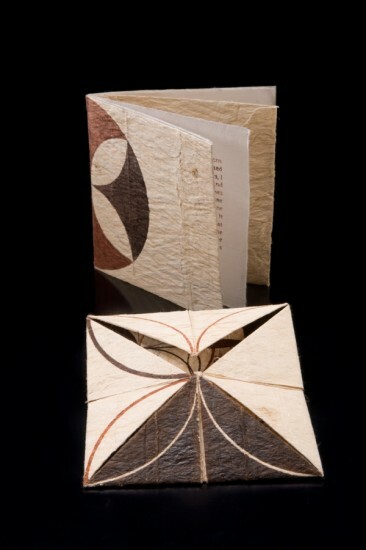 Ngatu Variations in Origami, by Gary Barton. 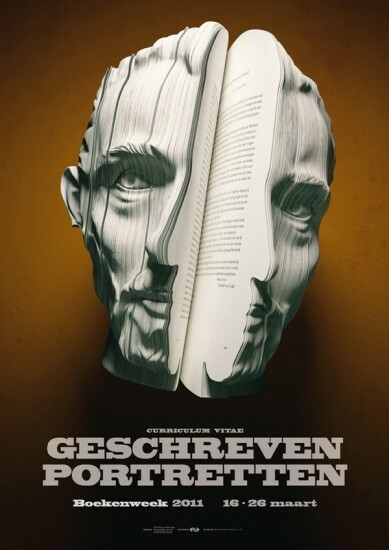 In focusing on these pieces, and as a lover of literature and the written word, I don’t intend to divorce books from their content; indeed, I would suggest that part of books’ power as physical works of art stems from their cultural significance as sources of knowledge. I’ve always been enthralled by the (rare) combination of beautiful design with a useful product—the marriage of form and function—and in that regard, I think the book arts are worthy of attention. I had the same idea for a post!You stole my thought:)Seriously though,nicely done,great post! I love this post. I like to read with the material in my hands, whether it is a newspaper, magazine or book, and I like to use books as part of how I decorate a room. I always felt that they add character, and how they are put together, whether it is for content or design has always been an interesting puzzle for me. 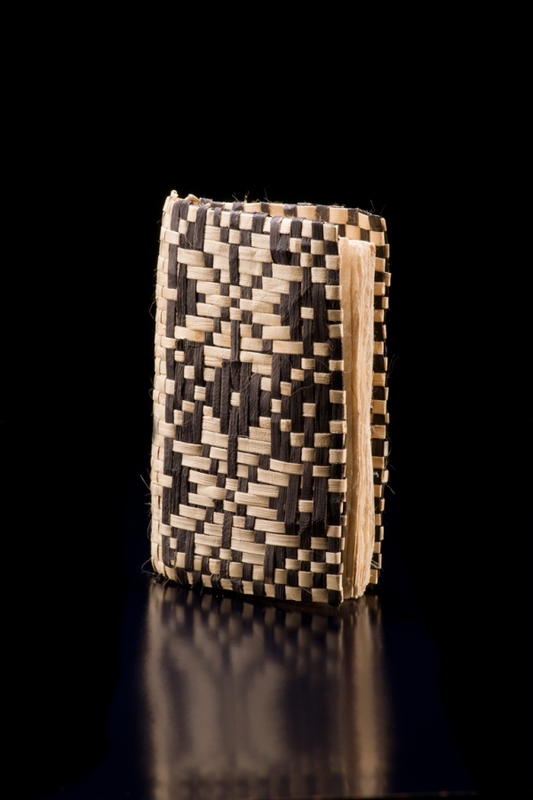 It is interesting that in the past people would have the books bound uniformly, because I like the variety, but I can understand how someone would get great satisfaction from looking at a library (or shelf) and seeing identical bindings. Would be nice if we could have the content and the cover without sacrificing anything.